To take and consider revenge is the point where lives become meaningless, that you may as well take the whole Human Race with you in a blaze of remorseless fury for the want of practising the harder emotion of forgiveness. To want revenge is natural, it is perhaps inherent in us all but to actually physically take a life for a slight, for an accident which robbed you of someone you loved; the question being could you truly want to keep perpetuating the agony and pain just to satisfy blood lust. 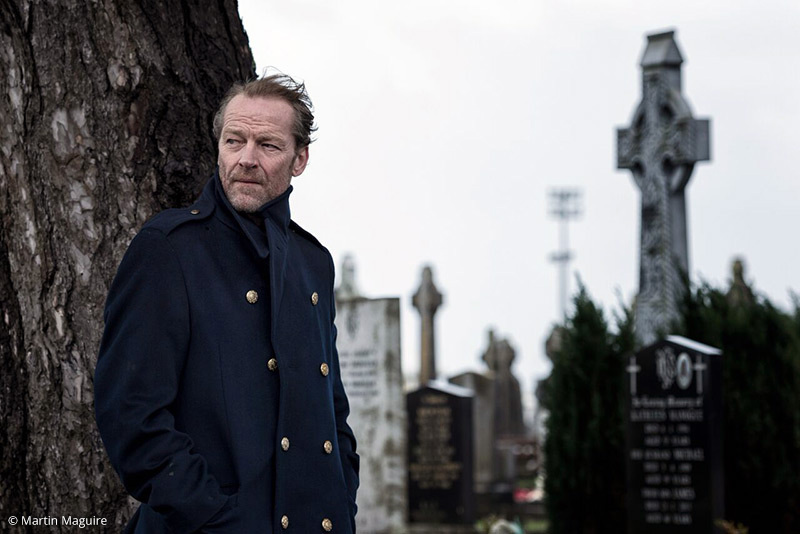 The return of the dark but enjoyable Private Detective, the gum shoe of Galway, Jack Taylor opened up its third series with the notion of revenge, of the never ending cycle of ill will in the dramatic and emotionally stirring Cross. Not everything is as it ever seems in Galway, the reminders of a past way of life are never far from the surface, the prospect of punishment dealt out by the gang a thought perhaps that symbolises the point of blood being thicker than water, and whilst a retribution from those with clubs and knives is bad, the castigation from a relative for not adhering and sticking to the family line is infinitely worse. 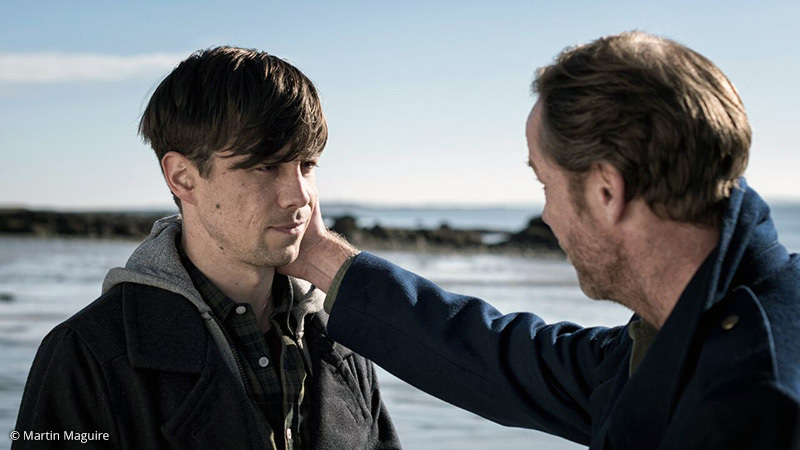 With the superb Killian Scott enjoying success elsewhere on television, it is only right that his character, Cody Farraher, is left to find his own way to pastures new and in his place is an actor who does the role of sidekick to Jack Taylor just as much justice that Killian Scott brought to the role. Jack Monaghan’s Darragh is something different though, not a trace of the wide eyed expectancy, of the hero worship and eventual downfall that would become Cody, instead this a man hardened by blood in a different way, whose inner peace and reflection, his lust for danger could lead Jack into more jeopardy than at any time in his life. The point of revenge always becomes lost, some find it hard to let go of some parts of their lives, Jack Taylor is not immune to that struggle and as he balances the issues surrounding both families that have become embroiled in a war that was avoidable, so to must he find a way to reconcile his own feelings against something that his hurting his best friend. 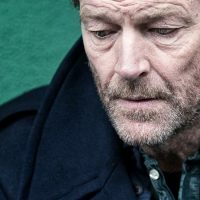 A welcome return for one of the most interesting detectives, gritty, damaged and dark, Jack Taylor finally breaks the monotony that had settled in on television during 2016. 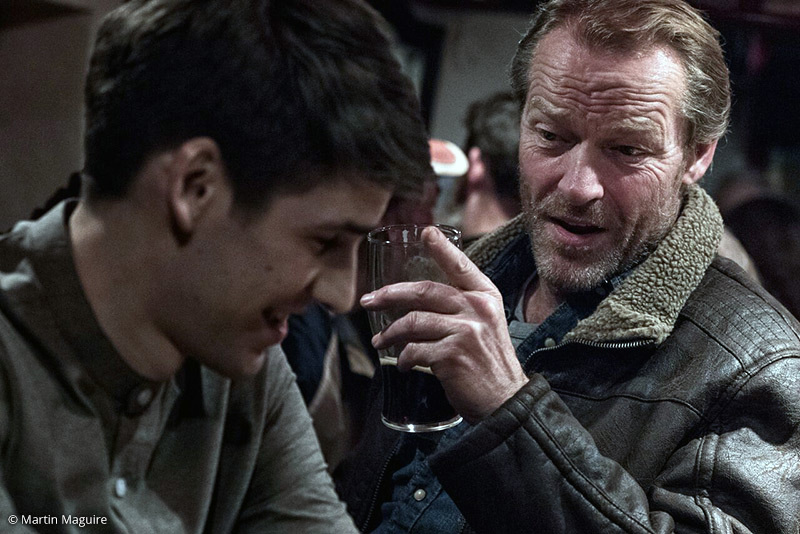 Iain Glen is back as the hard drinking Galway sleuth, tackling cases his old Guard pals won’t touch with a bargepole. In this one, a guy has been found crucified – can you blame them? The killing sparks a series of biblical retributions and revenge attacks. Jack Monaghan and Siobhan O’Kelly co-star. 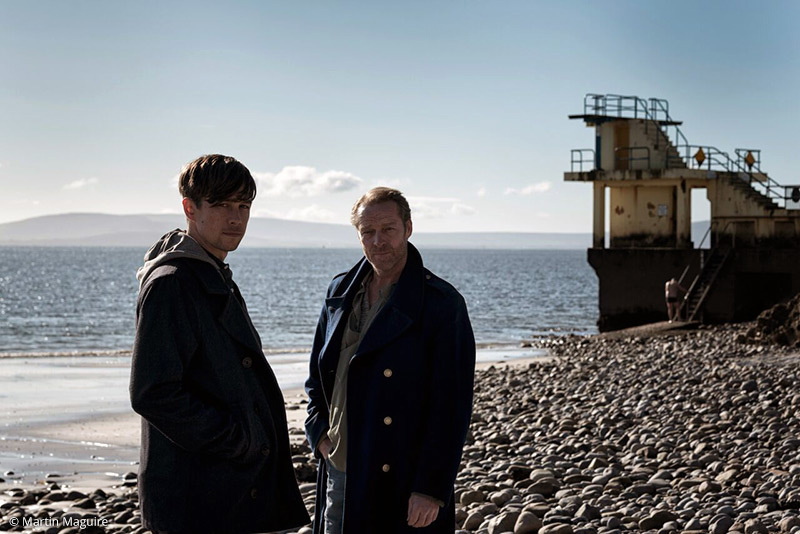 Iain Glen returns as the world weary Irish investigator in this enjoyable nourish drama. Taylor (Glen) and keen new assistant Darragh (Jack Monaghan) are caught up in the death of a young man found crucified and the vengeful fallout from the killing. It’s a great twisting script and the charismatic Iain Glen is brilliant as Jack in a drama packed with delicious dark humour. Made more than watchable by the stark beauty of Ireland’s west coast and Iain Glen as the maverick whiskey quaffing ex policeman. 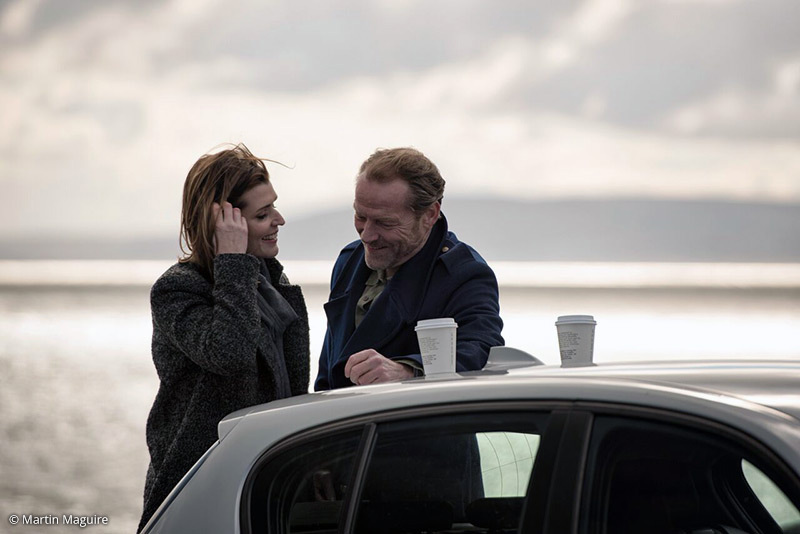 A combination of beguiling Galway locations and the wizened charms of Iain Glen make two hours I the company of Jack Taylor as comforting as an ice cold Guinness. Since we last met him, ex-cop Jack has cleaned up his act and acquired a new side kick, but his knack for stumbling into tricky cases remains undiminished: fist up, a killing with disturbingly Biblical overtones. 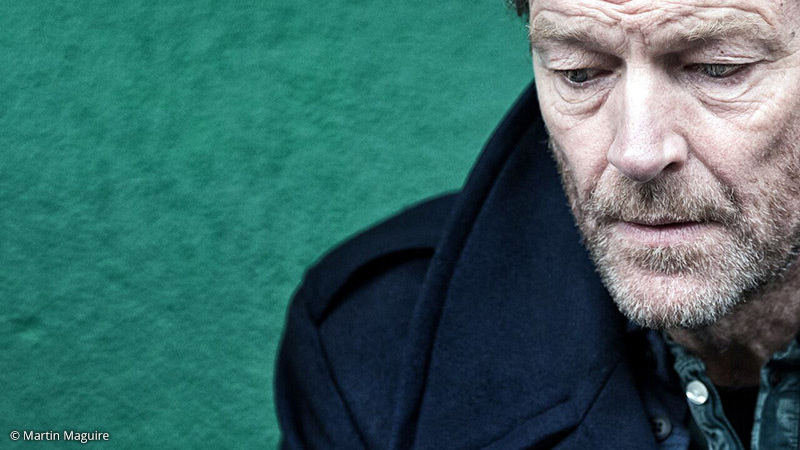 Of Iain Glen as its gnarly hero. Jack is a whiskey loving ex-cop who wanders the streets of Galway like a shaggy old lion patrolling his patch. But Jack is no longer the shambles he used to be. He has come into money and moved into a neat pad with a coffee machine and leather sofas. He also picks up a keen young side kick: Darragh is the cousin of his Garda contact and sometimes love interest Kate. He is a surprising combination of ex-con and herbal tea-drinking Buddhist. It shouldn’t work but it does.